Shehnaz Fish Center is a seafood street shop in Pune operating in the neighbourhoods of Khadki since 1970. Their seafoods are so fresh and the variety they offer is definitely hard to find elsewhere in the vicinity. Fishes like salmon, tuna and barramundi are quite popular amongst the customers. The humble fishmonger also recommends trying the prawns, crabs, squids, and lobsters. They have also branched into selling fresh chicken and mutton. So I sincerely hope that they start selling fresh water ducks too in the future. Are you too tired to visit the place even though you would love to get some quality fishes? Don't worry, Shehnaz Fish Center has your back! Now you can even order online, as they have an app available on both iOS and android. They accept online payments and cash on delivery. 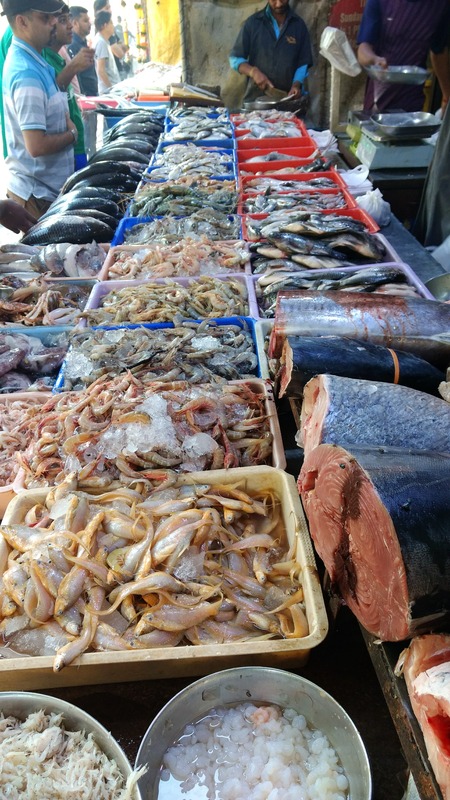 But if you plan to go and buy the seafood, visit there early in the morning as it gets crowded as the day progresses. Khidki is home to a lot of Malayalees and Bengalis, and there is a saying that Mallus and Bongs are connoisseurs of fish in our country. So expect the quality of the fishes sold in this joint to be top-notch.